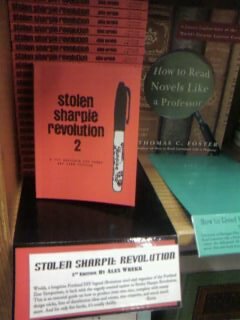 History of Stolen Sharpie Revolution, the book. Then she started compiling ideas for a zine she would call: Stolen Sharpie Revolution. 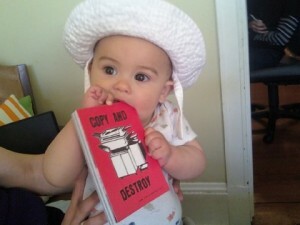 It was soon pointed out that she would not be able to steal as many photocopies as she would have orders for the zine. 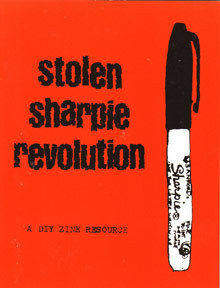 In 2002 the first edition of Stolen Sharpie Revolution was printed as an offset 1/4 sized 96 page zine. The covers were photocopied and stapled on along with a photocopied insert of envelope templates. It soon became obvious that not only would the stealing of the photocopies have been difficult had she gone that route, but that assembling 3,000 of the offset printed versions might not have been the best idea. 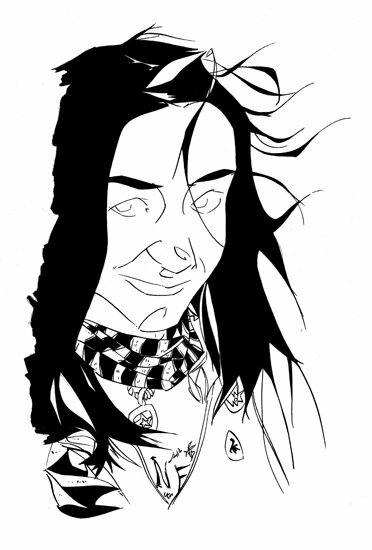 At any rate, Stolen Sharpie Revolution had its debut at the 2002 Portland Zine Symposium. The nex t step in progression of Stolen Sharpie Revolution lead to a printing with an actual spine and an ISBN! 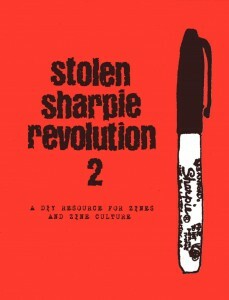 Stolen Sharpie Revolution 2nd edition became an actual book, had a print run of 4,000 and came out less than a year later in 2003. The book had lost the illicit content included in the 1st edition such as how to steal photocopies and, for educational purposes only, how to glue stamps. In 2005, 2 years later, an ambition print run of 10,000 was undertaken for Stolen Sharpie Revolution 3rd edition. Alex parted ways with the past publisher in 2006 and took Stolen Sharpie Revolution with her. 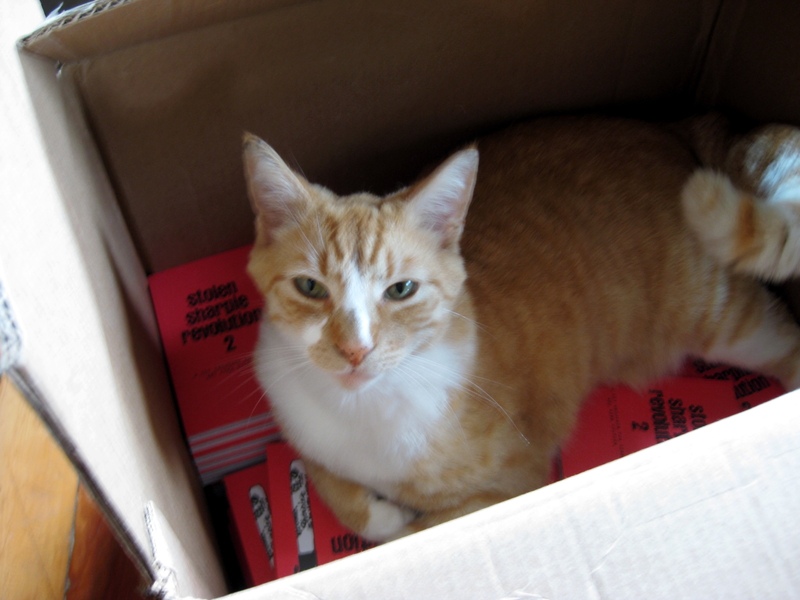 In 2009 she toiled away rewriting, retyping, and re-doing all of the layout to release a new incarnation of the book as: Stolen Sharpie Revolution 2: a DIY resource for zines and zine culture. It included all of the same good stuff plus updated info about online zine resources, zines in education, and trying to kill the zines vs. blog discussion once and for all because zines and blogs are not mutually exclusive. The print run for SSR2 was 4,000. SSR2 was printed at 1984 printing in Oakland, California. Paul and I made a trip down there to sticker a bunch of books and drop them off at AK press. In 3 years those copies have slowly dwindled and it is time to start the huge task of updating EVERYTHING. Alex realized that frequently distros and stores go out of business between getting the info and the book actually going to print so she had the idea of turning this website into a resource that would contain the things that change most from printing to printing. For a decade, Stolen Sharpie Revolution has been a useful tool in the creation of zines and the celebration of the ever changing zine community. With the help of this website, Alex hopes it will continue to be relevant for another decade and beyond! 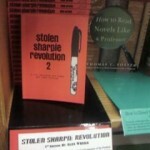 So, How can you get a copy of one of the existing copies of Stolen Sharpie Revolution? You can order directly through Paypal in the sidebar, check out my Etsy shop, Portland Button Works, several zine distros, or even Amazon if that’s your thing. SSR on display at Powell’s Books in Portland. printed on 100% post consumer recycled paper with soy based ink and animal free binding makes SSR2 kid safe! SSR is also loved by cats! Well, ok, maybe just this cat. Actually, OJ just really likes boxes. Alex Wrekk is someone that does not like talking about herself in the 3rd person, so I’m gonna stop right now. Hi, I’m Alex Wrekk and my life has been steeped in zines since I started reading them in the early 90s when I was a teenager living in Salt Lake City, Utah. At some point I had the revelation that “I can do this too!” and I started compiling my own zine in high school. I put together my first zine with my sister in 1995, it was called Fun In A Bucket. It was a silly mish-mash of stuff but I was hooked! I started my own zine, Brainscan, in 1997. Right now, as of 2012, I am working on issue #29 of Brainscan zine. 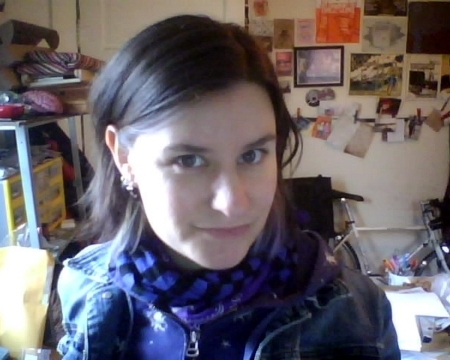 In 1999 I moved to Portland, Oregon for the good craft beer and because I had zine friends here. 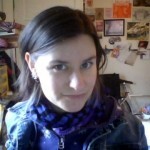 I learned to love riding a bike and in 2001 I was a founder of the Portland Zine Symposium. I have continued to be an organizer over the years and have only managed to miss organizing 2 out of the 12 years. 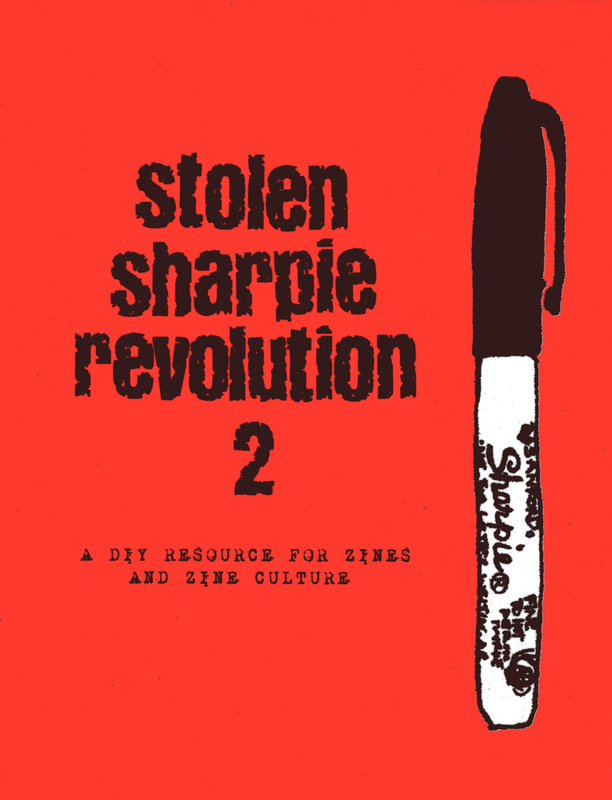 In 2002 I made the first version of Stolen Sharpie Revolution and started volunteering at the Independent Publishing Resource Center. Over the years I have been on several zine tours of the US, Canada, the UK and France including: Copy and Destroy, Cut and Paste, Zines and Cake, Zines on Toast, and Stuff and Things. 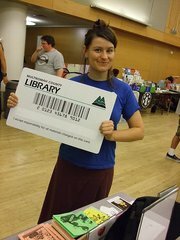 I have attended over a dozen different zine fests in 4 different countries. As a half joke in 2005, the first entry for Alex Wrekk was entered into Wikipedia but was closed because, apparently, I’m not notable. 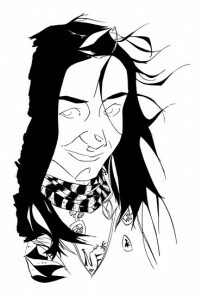 This prompted Alan Lastufka to start ZineWiki in 2006 with the DIY spirit of documenting our own history and somewhere along the line the Alex Wrekk was reinstated. 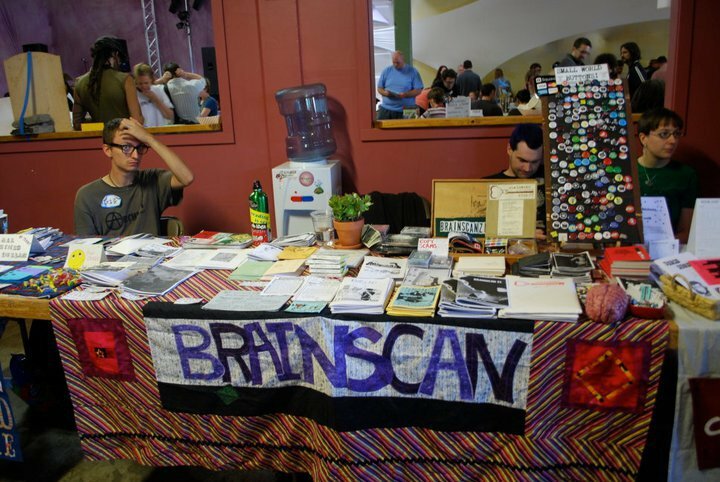 In 2007, Brainscan Zine was nominated for the UTNE Reader Award for Excellence, and I was nominated for Quimby’s Long Arm Stapler Award in 2011. In 2009 I was accepted to the residency program at the Roberts Street Social Center at the Anchor Archive in Halifax, Nova Scotia. In 2008 I had the idea that there should be an International Zine Month for people around the world to celebrate independent publishing. I talked with some friends about it and decided that July was a great month for it because that was the month of the 24 hour zine thing. I applied for a listing in Chase’s book of days and it got listed! 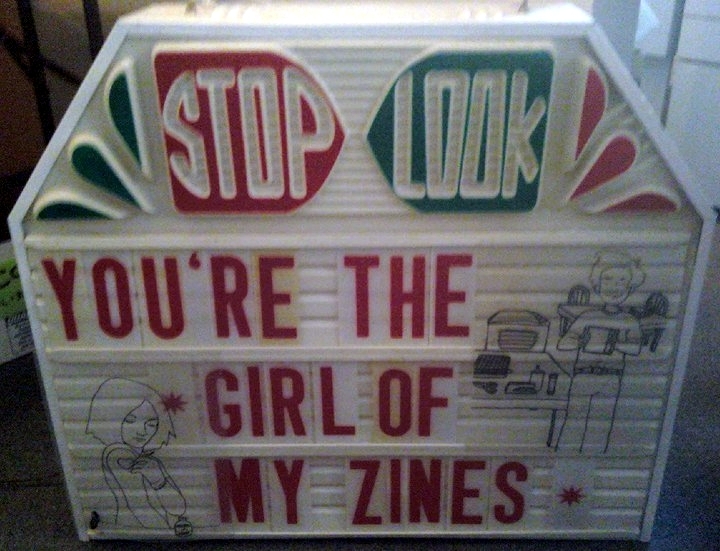 Now, July Is International Zine Month and is celebrated with 24 hour zine parties, visiting zine libraries, having zine release parties and more! In 2009 I thought I would try out a podcast thingie and enlisted my friend and housemate, Mark Parker of Zine Thug fame. We called it Nobody Cares About Your Stupid Zine Podcast. We had one episode and we did a few awesome interviews but the files got corrupted which was discouraging and sort of stalled the progress of the podcast. But, Derek Neuland encouraged me to take up the recorder again and he became my co-host. Check out Nobody Cares About you Stupid Zine Podcast on LibSyn or itunes. 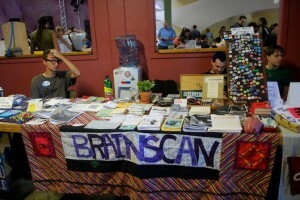 We talk about zine events, and do interviews with people involved with zines. 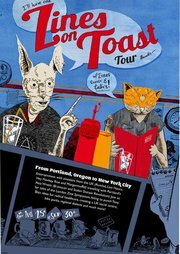 In 2010, in addition to being an organizer for the 2010 Portland Zine Symposium and putting together a month long zine tour, I started a zine themed band. Writer and illustrator of the zine Rum Lad, Steve Larder,was staying in my basement and challenged me to start a band in 3 weeks. We recruited my partner, Paul, and my housemate, Marc. We called our band The Copy Scams and in 3 weeks time we wrote 4 lo-fi pop punk songs all about zines, practiced them, recorded them and played a show that ended the 2010 Portland Zine Symposium. You can order a cassette tape (that’s right, cassette!) from my Etsy store or listen for free here. Awesome sign found at ZAPP in Seattle. And if that’s not a ridiculous amount of zine things that have taken up my life I am also a team captain for Etsy Team Zine and an organizer for ZOE (Zine Organizer Events). All of that doesn’t really pay the bills so I run Portland Button Works and my Brainscan Etsy shop. I make custom 1″ and 1.25″ buttons and magnets as well as my own designs. 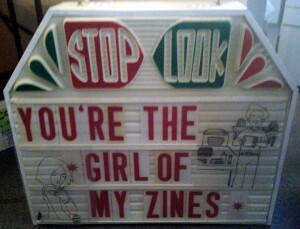 I also sell my book and my zines there and I have a blog: Love Letters to Irony. Um, I guess that’s about it. Feel free to e-mail me if you have any questions: alex[AT]Smallworldbuttons[DOT]com. A link to my blog with a list a bunch of other places to find me on the internets if you are so inclined. My beautiful tablecloth made by a friend for tabling at events. 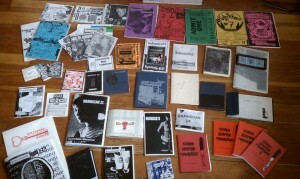 17 years of my zines!